Define the term “noun” semantically, morphologically, and syntactically. Discuss features of nouns in English (number, possession). Create nouns from other parts of speech using only syntactic placement to indicate the change. I’d love to say that nouns are a self-explanatory category. I mean, we all know what a noun is, right? Or, we’ve heard the word and have a general idea, or… something. The purpose of this post is to codify that “something” into a more concrete understanding. If you know exactly what a noun is and can accomplish all of the above objectives already, then feel free to move along. If not, or if you want a refresher, read on. I Can Syntax, and You Can Too! 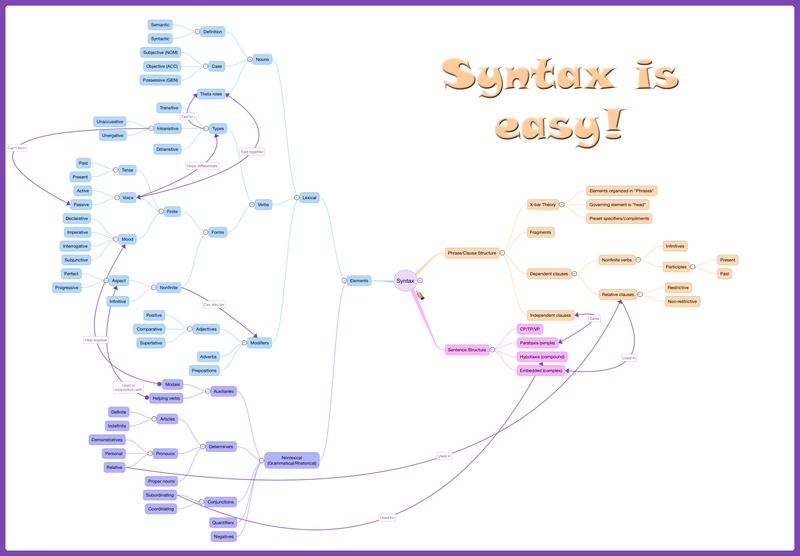 This posts covers an introduction to basic syntax. Skill level: Beginner. Identify the three levels of syntax. Classify words according to their appropriate levels. 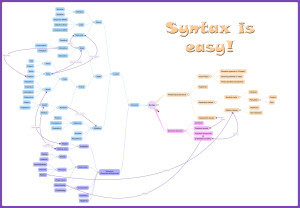 For a definition of “syntax,” click here. (I could paraphrase, but I’d have to give credit anyway, so I might as well send you straight to the source.) Right, then. With that settled, let’s jump right in, shall we?